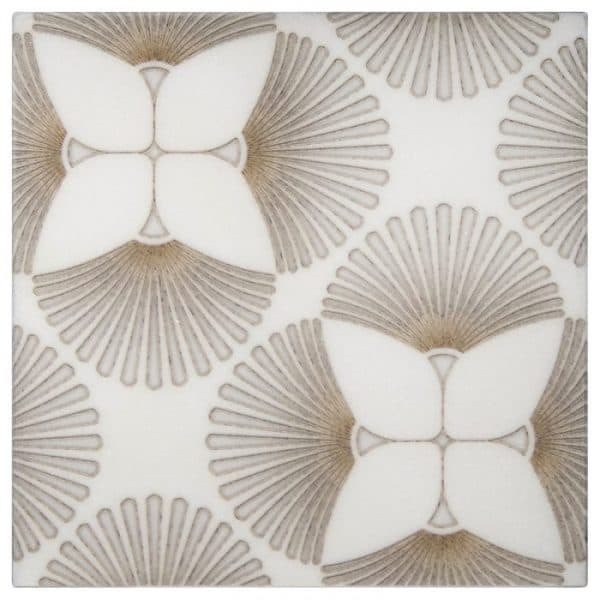 The Art Deco inspired Briolette pattern is a truly one-of-a-kind design. 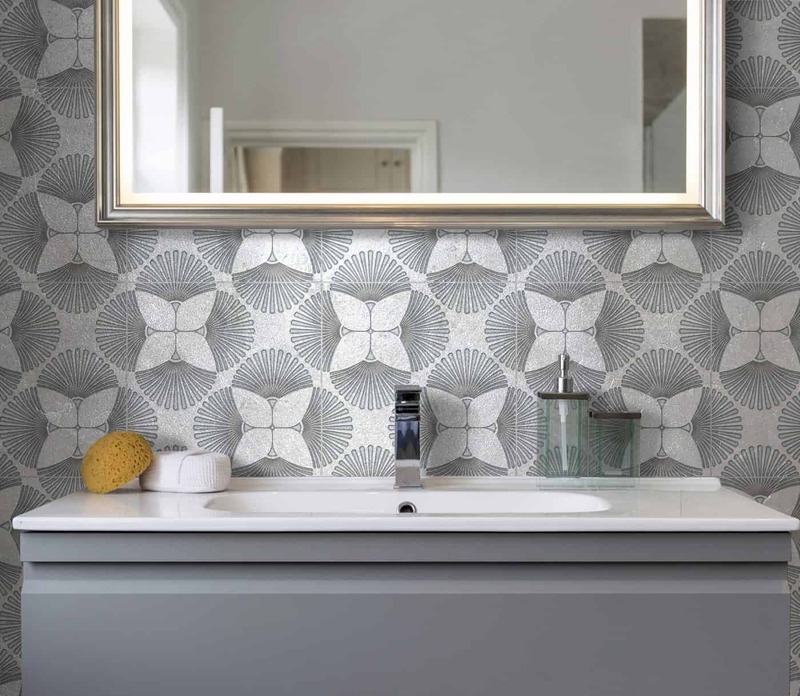 With a unique offset layout, the Briolette tiles create a mesmerizing installation. 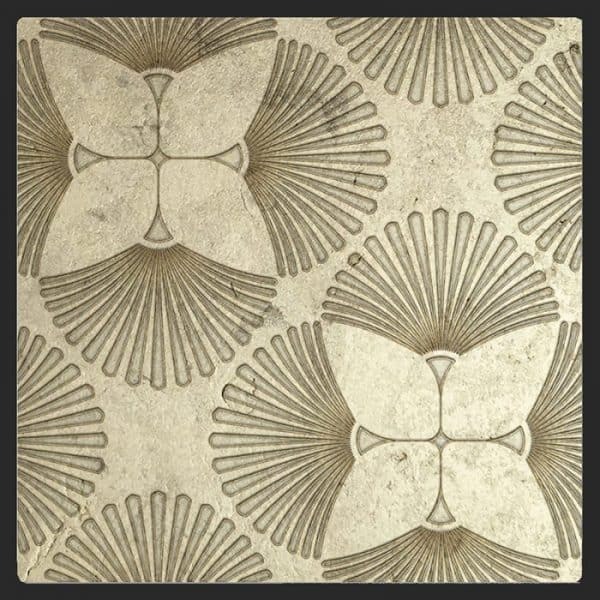 Designed as part of our Luster collection featuring gold or silver luster finishes, the Briolette pattern is equally striking on any of our stone tile options. 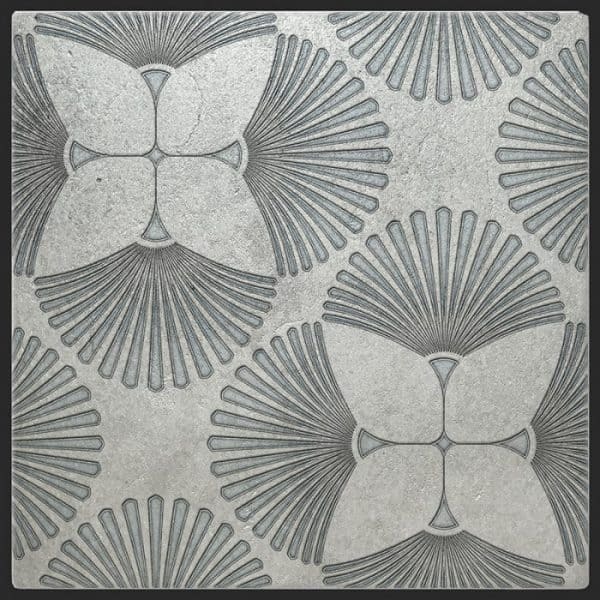 The Luster finish is a pearlized glaze applied to our Limestone tiles to create a beautiful, yet subtle, metallic effect. The finish accentuates the nuances in the Limestone and compliments the intricate designs intently designed to enhance the finish. While the designs featured with the Luster Finish were created intently to coordinate with the Luster Finish, each design may still be ordered on any stone type, in any size, foregoing the Luster glaze.